The Brunswick Merrimack pool table is a classic design featuring hand-hammered metal hardware and distinctive artisan joinery – the ideal complement to a handsome, hand-rubbed antique finish that showcases the natural knots, grain and texture of the table’s rough-hewn wood. The Merrimack is a striking example of Old World Craftsmanship. 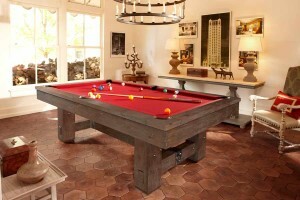 As with all Brunswick pool tables the precision, stability and playability you’ve come to expect is present. 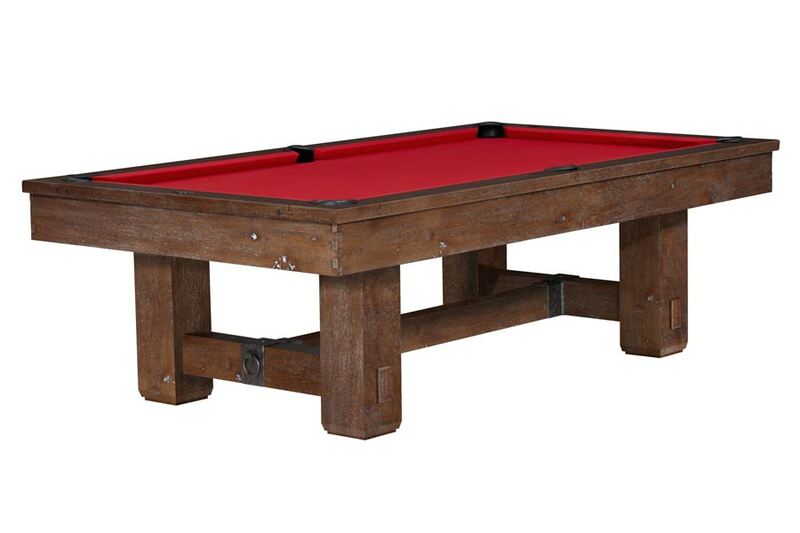 A rugged and rustic new style from Brunswick.